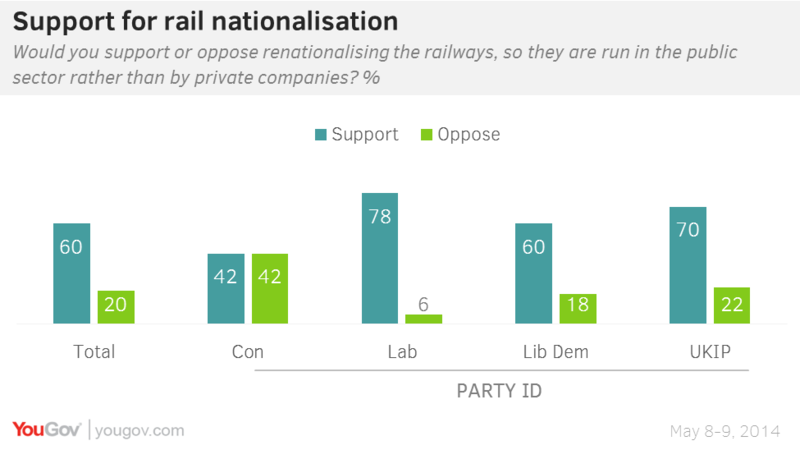 May 11, 2014, 10:00 a.m.
YouGov have previously found support for nationalising the railways which persists in this weekend’s survey for the Sunday Times, but a new survey looks at the specific reasons people give for and against the idea. By 60-20% British people support renationalising the railways so they are run in the public sector rather than by private companies. 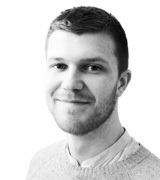 UKIP, Labour and Liberal Democrat voters all support the idea, by 70-22%, 78-6% and 60-18% respectively. Conservatives are divided 42-42%. The MP’s letter argued that under the present system private companies can "walk away with hundreds of millions of pounds every year, despite running monopoly services and benefiting from £4bn of public investment in the rail network every year". Indeed, the argument for renationalisation considered by those who support it as most persuasive is that Railways should be accountable to taxpayers rather than shareholders. Ed Miliband said “Passengers are paying high fares in this country and we&apos;re paying big subsidy from the taxpayer.” Likewise, the next arguments seen as most convincing are that rail fares would go down (47%) and that it would be more cost-effective overall (43%). However, just as with the partly public London Underground, which has recently experienced sustained strikes, the argument against nationalising the railways seen as most persuasive by those who oppose it is that there would be more strikes (43% choose this option). 37% of those in opposition say that railways should be paid for by the passengers who use them, rather than through general taxation. The case for renationalisation is often made by pointing to the success of the publically-run East Coast mainline, which is claimed to have been the cheapest franchise to run for the past five years, producing the greatest return to the taxpayer. Critics argue that the difference in cost is due to many factors, and when the price of trains on the line increase in 2018 the publically-funded model may no longer seem inexpensive.